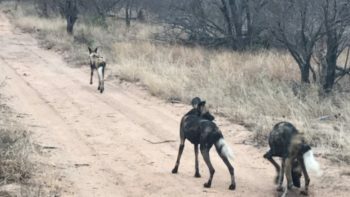 In a wild dog pack urinating is used for multiple reasons. 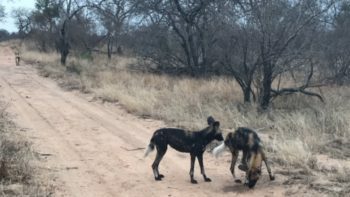 Apart from relieving themselves they also urinate to mark their territory, although this is usually done only by the alpha male and female – the rest of the pack don’t do any territorial marking. 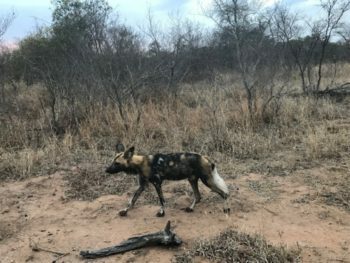 However if other members of the pack find a new and interesting smell such as hyena dung, they will urinate on the dung itself and then roll in the urine, as if using it as a “cologne” of sorts. Sometimes you will also see wild dogs urinating on each other – this is to establish the pecking order amongst them. So the alpha male and female will urinate on the entire pack, the second-dominant pair will urinate on the rest (except of course the alpha male and female) and so on. 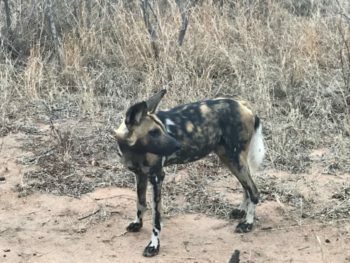 The least dominant wild dog will then smell the most – that way the other wild dogs know exactly who is least dominant in the pack.